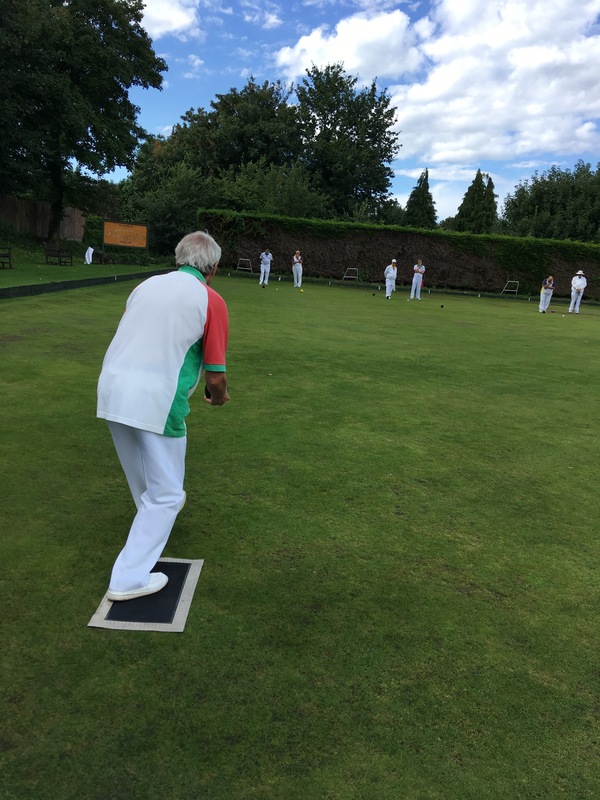 On Saturday, 26th August, Merrow visited Burpham for our return match. When we played Burpham at Merrow, we had a very good win and were hoping to repeat that success. On a very hot afternoon, four teams of triples were in action. The onlookers certainly had an enjoyable time as the scores mounted. Sadly for Merrow, Burpham won on three of the four rinks, with an overall score of 66-59, a winning margin of just 7 points. Special mentions go to Sue, Debbie and Brian, who came back from an 11 point deficit to finish only 2 points down, and to Mark, David and Rodney, who won by a very respectable 6 points. I came across a very useful article, on eBay of all places, describing how to choose the best bowls. I’d like to extend a warm welcome to our new members: Len Marshall, Julian Ellis, and Bernard Callanan. Be sure to say hello when you are next at the club. 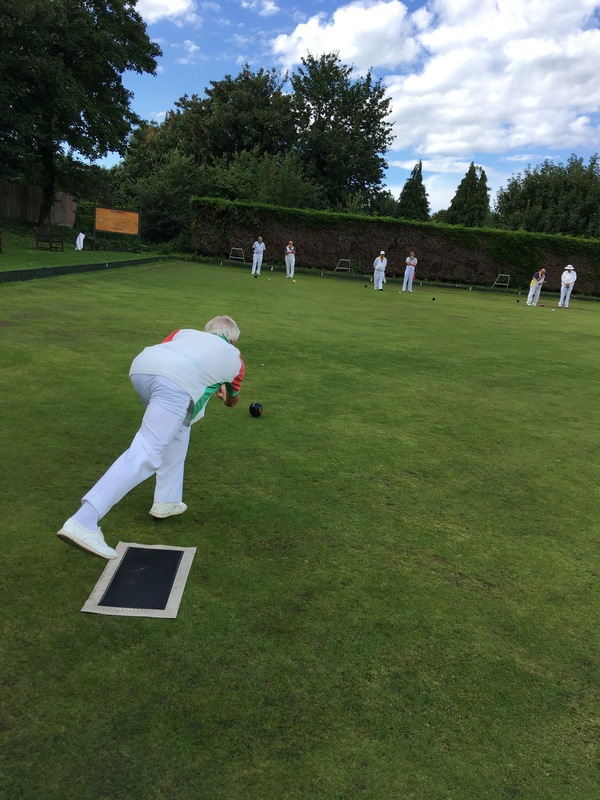 Over the weekend of 19th-20th August, Merrow played two friendlies. Match reports for each follow. 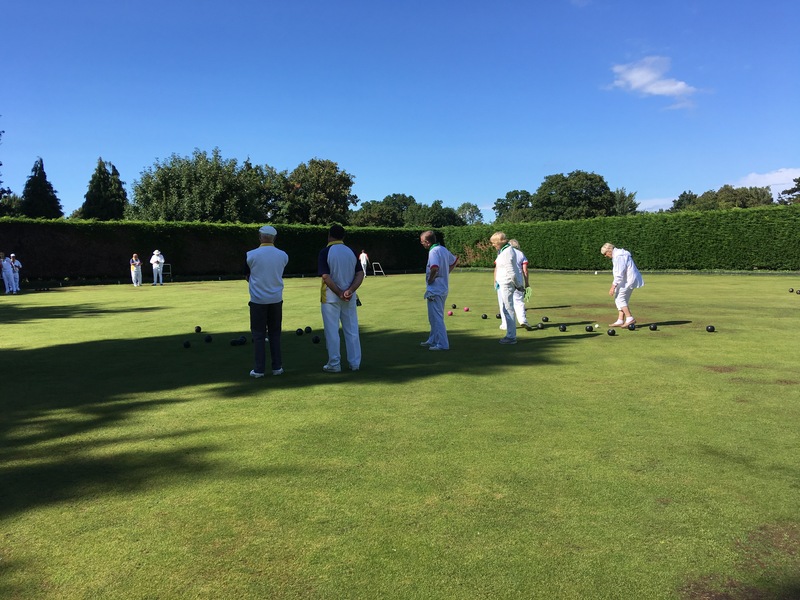 On Saturday, 19th August, Woking Park visited Merrow. Due to some issues around numbers, Merrow loaned Woking one player and we were able to play two triples and one rinks matches. The day was bright and both sides were soon engaged in hard-fought matches. 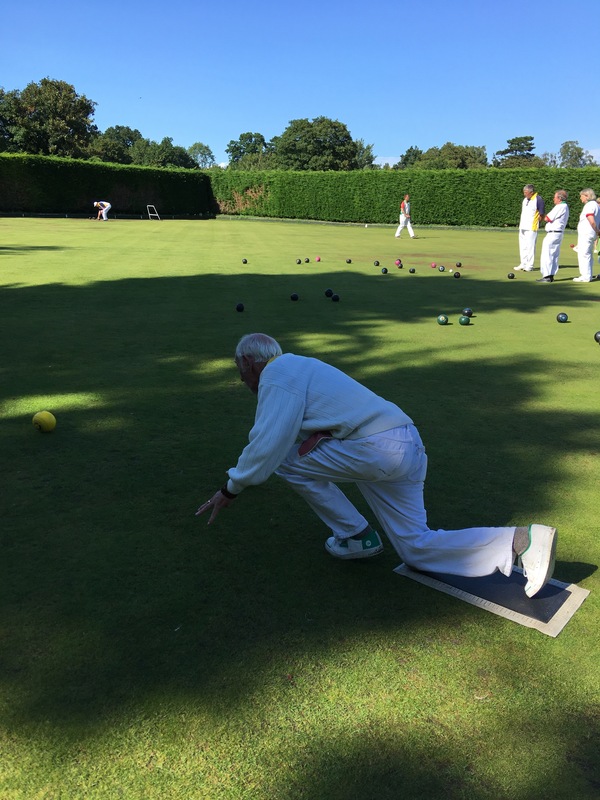 The resulting scores gave Merrow a win by two rinks to one and a points win of 55-39. Commiserations to our losing rink, who came back strongly to lose by just two points. However, the team playing rinks; David, Debbie,Lorna and Colin had a tremendous win, with their score of 21-8. Thanks to Nicky Hughes for laying on a lovely tea for us at the halfway mark. 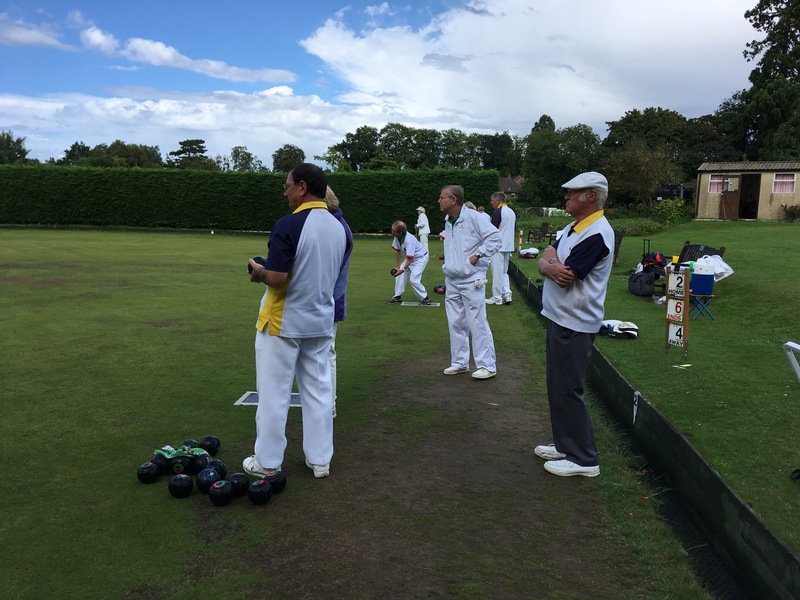 On Sunday, 20th August, Merrow travelled to Elstead for a match of three triples. Although cloudy, it was a warm day. However, we did experience some light rain during the last two ends. Generally, Merrow players found it hard to read the Elstead green. However, things did improve as the match progressed. At the final reckoning, Elstead ran out winners two rinks to our one and on points, 56-40. Special mention goes to the Merrow team of Ken, Lorna and Bob who prevented a whitewash with a fine win, 19-14. At the interval, we enjoyed tea in the lovely barn. Thanks to the Elstead ladies for their hard work. Before our return match with Liphook on Saturday, 5th August, the heavens opened and it was touch and go as to whether the match would go ahead. Fortunately, the skies cleared and, although the green was damp, a good afternoon’s bowling was in prospect. 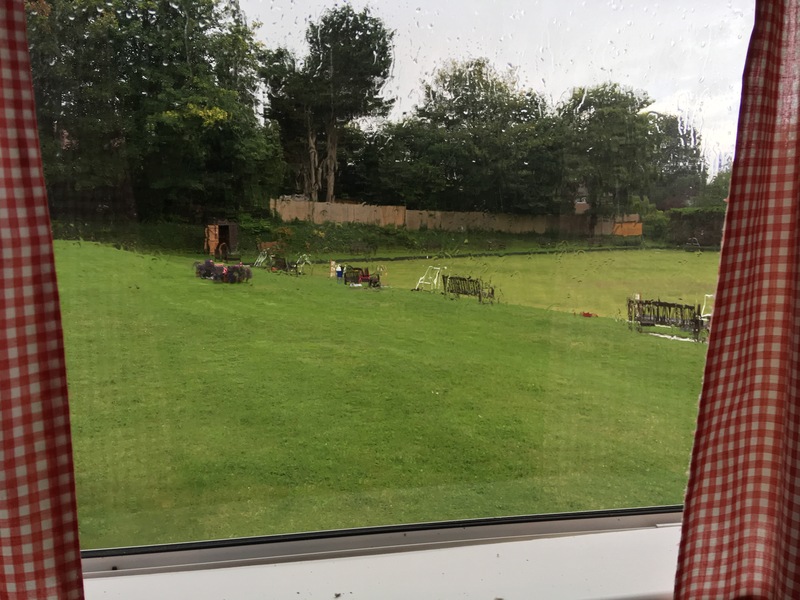 We played four rinks of triples, with an earlier than expected break for tea when the heavy rain returned after only six ends had been played. It was with some relief that the restart saw us playing under clearing skies. The end result saw Liphook running out overall winners 53-79 and also winning on three rinks. However, a special mention for rink 2, where Lorna, Richard and David E triumphed, giving Merrow something to smile about. Thanks to Rodney for the teas, including his delicious home made cakes.